The La Vera region of Spain produces a particularly high quality smoked paprika. Pimenton de La Vera is not dried by the sun, but instead by the traditional method of oak smoking, resulting in an unmistakably smoky taste. It is this spice that captures the essential flavor of Spain; a must if you want to make paella. 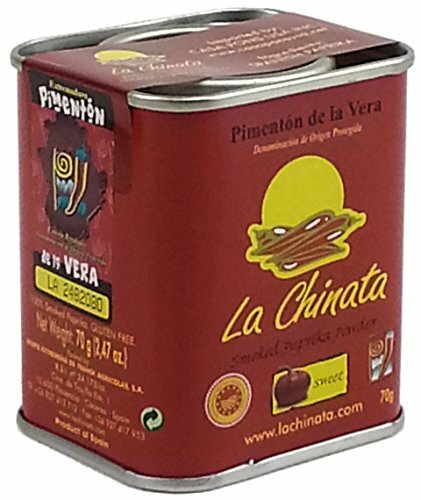 You can use La Chinata's Sweet Smoked Paprika as a flavoring for potatoes and fish dishes, light stews, sauces, garlic chicken and roasted meats. If you have any questions about this product by La Chinata, contact us by completing and submitting the form below. If you are looking for a specif part number, please include it with your message.